John Fitzpatrick raced professionally for over 20 years in Touring Cars, Sports Cars and GTs and was consideredone of the best Porsche drivers of his era. He began his career driving Touring cars in the BSCC and ETCC, winning the British Saloon Car Championship in 1966. First it was Minis, then Ford Anglias and Escorts; BMW CSs and then Porsche 911s. He then became renowned for his expertise at driving the German machines. 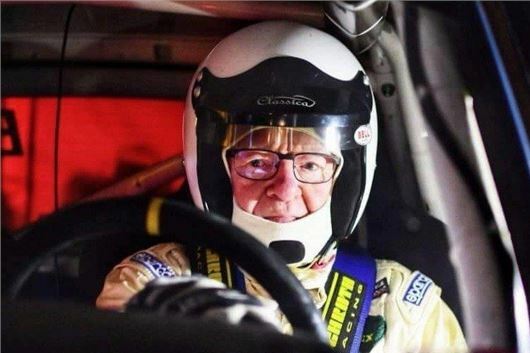 Joining these legendary racers is Finnish rally legend Rauno Aaltonen (picture, top). Known as one of the Flying Finns of rallying, Rauno started his career on speed boats and later moved on to motorcycles competing in road racing, speedway and motocross. He was the first Finn to win a Grand Prix motorcycle racing competition. In 1966, he partnered Bob Holden in Australia to win the premier touring car race, the Gallaher 500, in a Mini Cooper S at Mount Panorama in New South Wales. Aaltonen finished second on six occasions in the Safari Rally, which is considered one of the most difficult courses in rallying earning him the nickname of ‘The Rally Professor’. Tickets are now on sale for Race Retro, powered by Motor Sport,held from February 22-24, 2019 at Stoneleigh Park, Warwickshire, with free parking for all visitors. For the latest updates and ticket information, visit www.raceretro.com.